Numerics integrates with an ever increasing number of cloud services and custom data sources. Each of the integrated service comes with pre-defined widgets that you can choose to add to your dashboard. This allows you to add a title to the widget that is displayed at top of the widget. This is optional. The Source section allows you to add your account and choose the related profiles for the account. Depending on the service and the type of authentication offered by them, you will be guided to connecting your account in Numerics. Some services require you to login via the web, others might need an API key from the service to allow Numerics to bring in your numbers. If you have many accounts like personal and business with one service, you can add them all to track KPIs of each, separately with different widgets. Numerics does a direct device to service connection and all your data is stored securely and exclusively on your device. Once the account has been added and chosen, the linked profile options are automatically populated. These help you refine and narrow down to the number that you want to track. 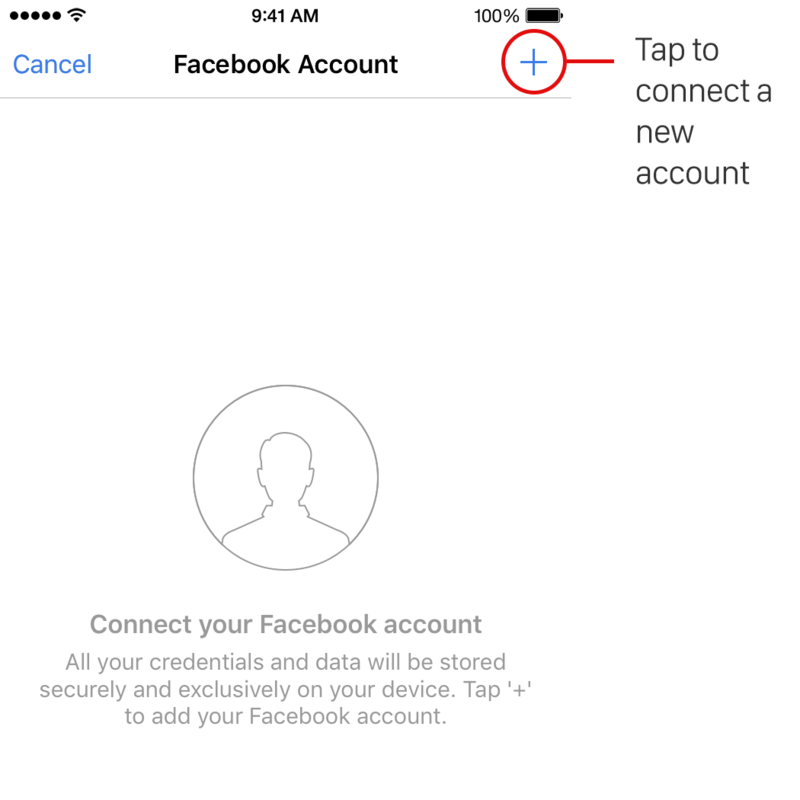 Depending on the type of widget and service, the options are either populated automatically or require the user to enter the data. The Notifications section enables you to choose to receive notifications on change. 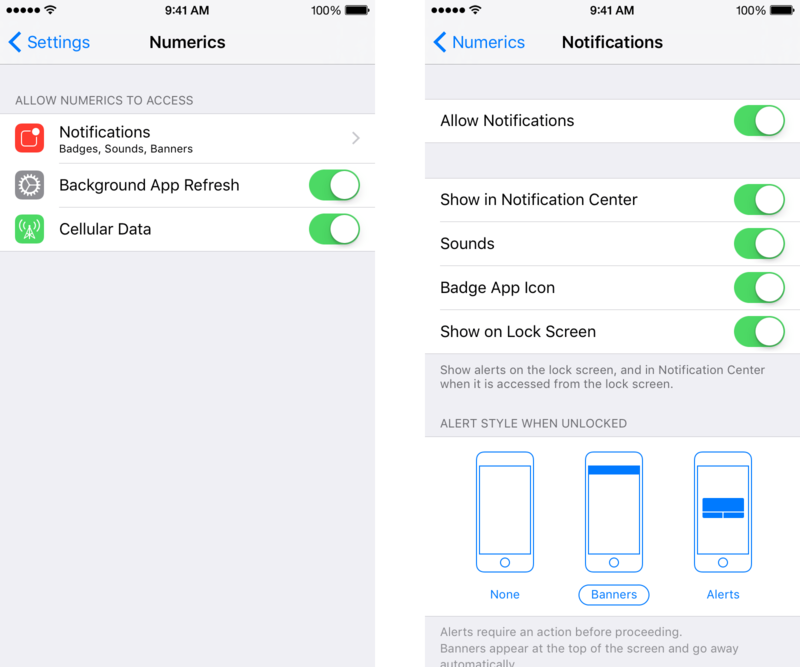 Change Notifications – If the switch is ON, Numerics notifies you when a widget’s value changes, even if the app is in the background. Numerics dynamically chooses when to refresh the widget depending upon the type of widget, the service and service API rate limits. When the app is in the background, it uses the background refresh API to check and update the widgets. Show on Today Screen – Turn this switch ON to see the numbers on your iOS device Today Screen. Depending on the type of the widget, the Today widget displays a label, number or top value from a top list or the last value on the graph. 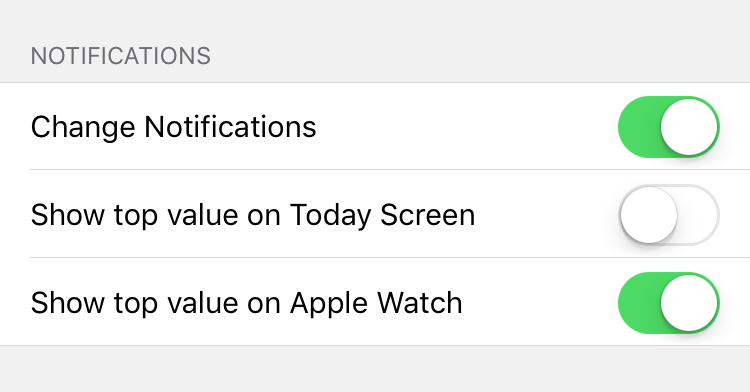 Show on Apple Watch – If you’d like to track a KPI on your Apple Watch, turn this switch ON. The Display options let you choose the background color for the widget from the pre-defined colors. 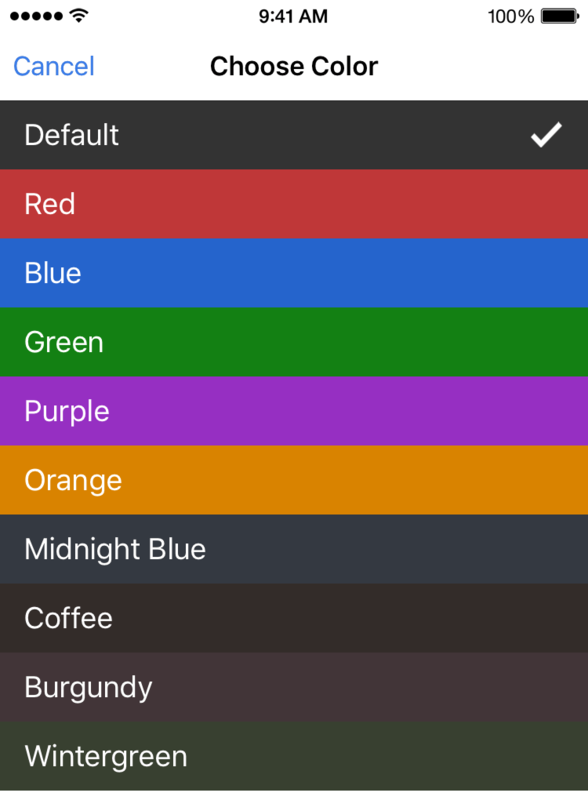 Tap on Default to see the other color options available.